Health and fitness that matters to you. Breaking down specific topics and discussing workout programs. 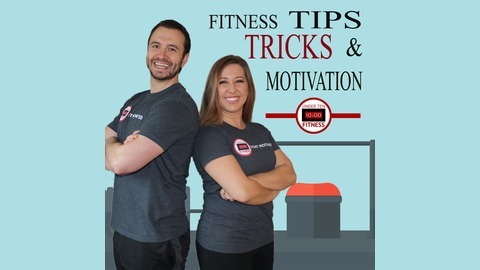 Hear interviews with doctors, dietitians, athletes, trainers, coaches and more. Finding real workouts and information without the gimmicks. Find the show online and on social media: Email: drew@undertenfitness.com Twitter: @undertenfitness Facebook: undertenfitness Instagram: undertenfitness And as always remember – Stay Motivated! Drew Smith. This simple workout can be used for any exercise. Pick an exercise and do 10 sets for 10 reps each. This week I did Kettle Bell Squats. Hold the kettle bell in the rack position and squat for 10 reps 10 times. I really like how easy this is. I actually did this workout while I was watching TV. My daughter got a kick out of it! She just watched me do squats while I watched her watch me. I will do this one again, it was super easy and very effective. My legs were jelly by the end and I felt it the next day. I used a 25 pound kettle bell for weight. 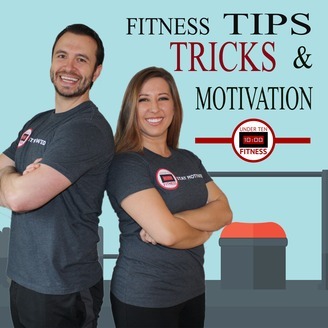 Find the podcast where we give Tips Tricks and Motivation: Apple Podcasts, Spotify and anywhere you listen to Podcasts. Links on our website. This will get you free access to the premium area.